This is the story of teenage Cassie, whose entire life is changed following the sudden death of her parents several years ago. Learning to cope with sadness and loneliness, she drifts along moving neither forwards nor backwards. 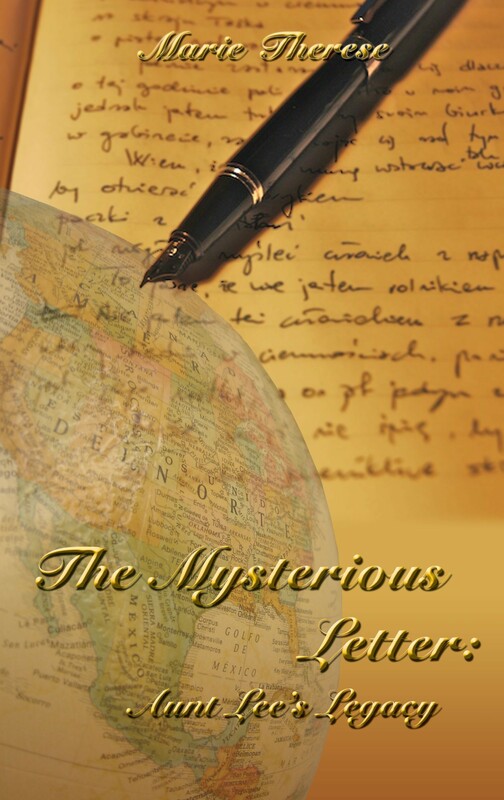 One day, a strange letter arrives which prompts the beginning of the next stage of her life. The writer of the mysterious letter is revealed to be Cassie’s Aunt Lee, an aging writer for a travel magazine. With her brother Josh’s blessing, Cassie travels to New York and meets with her Aunt. The puzzle is solved when Cassie is asked by Aunt Lee to record her spectacular adventures. This means a new life for Cassie, complete with changing schools and living quarters. Through her Aunt’s memory, which sometimes needs jogging, Cassie relives each of her Aunt’s travels and expeditions. Each Chapter chronicles the escapades of Aunt Lee; adventure, danger and romance lead the reader through tales of intrigue and suspense. Recording her Aunt’s stories allows Cassie to reach into the past, stay involved in the present, and have hope for the future. Knowledge of near and far lands is offered to imaginative young readers.